He is also touted on the website itself (see the graphic excerpt below). 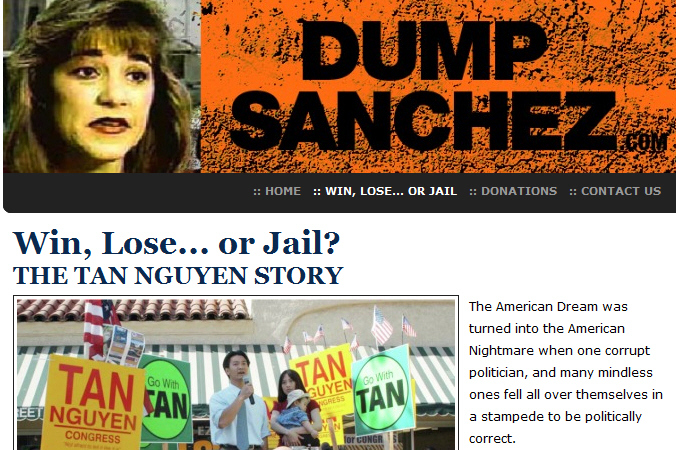 You may recall that Tan ran against Sanchez back in 2006, and he got himself in trouble when he mailed letters to Latino voters trying to scare them away from the voting booths. You can read his crazed response to these allegations at this link. Nguyen is running against Assemblyman Van Tran, who shares his anti-Latino views, and AUHSD Trustee Katherine Smith, in the GOP primary. Santa Ana could make a few bucks off of this. They are stapled to phone poles, stuck in public property in my neighborhood. 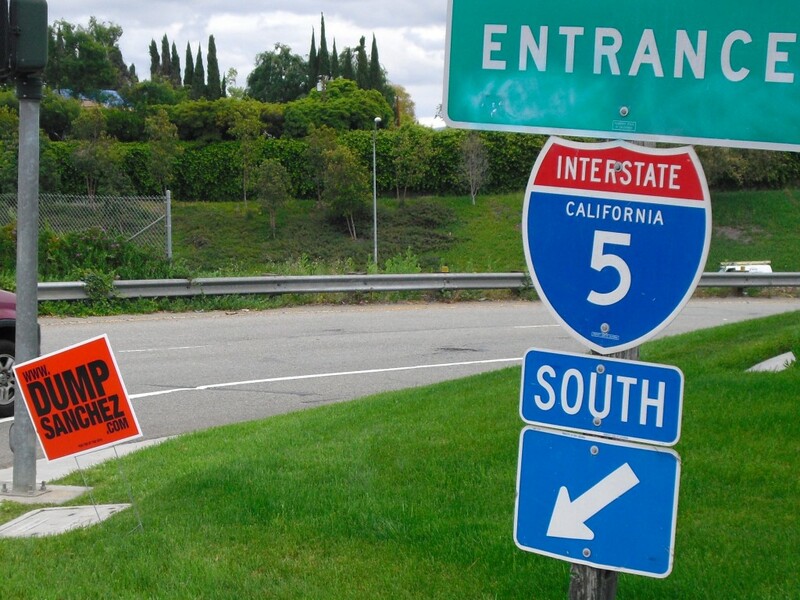 If Pulido hurries and starts confiscating the signs fines them $25.00 per sign. He can make a little cash for the city’s coffers. oh darn where have I been= I have not seen these. No one reported on Ceci Iglesias’ campaign kick off. Or did I just miss it?